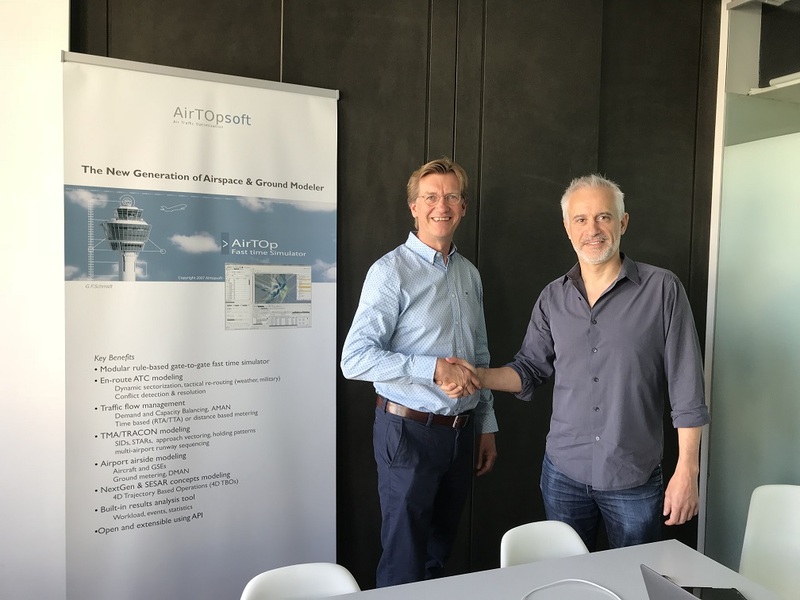 Transoft Solutions Inc., a global leader in transportation engineering design and analysis software, announced today that its Belgian affiliate company has acquired Airtopsoft SA, a leading developer of airspace and airport modeling solutions. Airtopsoft will continue operating as a standalone company, managing key operations from its office in Belgium. Terms of the transaction were not disclosed. Airtopsoft was founded in 2006 when it first launched its flagship software, AirTOp. The Brussels-based company has since positioned itself as developers of advanced simulation solutions for decision making and analysis for airport, air traffic control and airspace professionals. Airtopsoft has customers around the world and lists airports, air navigation service providers, research labs, service companies, aircraft manufacturers and airlines among its clients. Transoft and Airtopsoft have well-known reputations for investing heavily in research and development and working alongside leading government and research authorities. This acquisition is fully aligned with Transoft’s mission to provide solutions that allow its customers to design with the utmost confidence. Transoft Solutions develops innovative and specialized software for transportation professionals. The company’s expansive portfolio of aviation, road and site design solutions is used by over 40,000 users, including airport operators, civil aviation authorities, airlines, aviation consultants and manufacturers, in more than 130 countries. Since 1991, Transoft Solutions has remained committed to providing best-in-class customer support through its offices in Canada, Sweden, the United Kingdom, The Netherlands, Australia, Germany, India, and China, enabling professionals to design with confidence. For more information on Transoft’s range of aviation, civil design, and vehicle simulation solutions, visit www.transoftsolutions.com. Headquartered in Belgium’s capital Brussels, Airtopsoft is a recognized leader in the development of air traffic complexity assessment and modeling software. Founded in 2006, AirTOp fast-time simulation software, and its range of modules, are used by a wide assortment of aviation customers including airports, air navigation service providers (ANSP), air traffic control service providers, regulatory authorities, consulting companies, research labs and airlines. Today, AirTOp is used for capacity and complexity studies around the globe. For more information about Airtopsoft airspace and airport modeling solutions, visit www.airtopsoft.com.